Modern medicine is wonderful. I am so grateful for all the life-saving advances the medical community has made, several of which have saved lives within my own family. You better bet, if I get into a car accident or break my arm or get really sick, I’m heading to the hospital. That being said, as wonderful as modern discoveries like antibiotics or the MRI machine are, I don’t believe that they completely erase the benefits of the natural medicines we humans have relied on for centuries. I like to think of modern medicine as a glorious addition to our awesome arsenal of tools to keep ourselves healthy—and I personally want to have that entire arsenal at the ready. One thing having Lyme disease has taught me is that you shouldn’t rule out anything that might help you—especially when it can’t hurt you. Herbal medicine, in particular, is one of my favorite ways to help supplement conventional medical care. Herbalism is incredibly safe (I don’t know of many folks that have ODed on peppermint leaves), it’s affordable, it’s accessible, it’s gentle, and it has centuries worth of anecdotal and scientific evidence to back it up. Diving into the world of medicinal herbs can be incredibly overwhelming. There are literally thousands upon thousands of plants that our species has used as medicine. But that doesn’t mean you can’t dip your toes into the herbalism waters. In fact, there are three plants you can pick up right now at your local nursery or hardware store that are a great entry point into herbal medicine. And you don’t even have to have a yard to grow them. 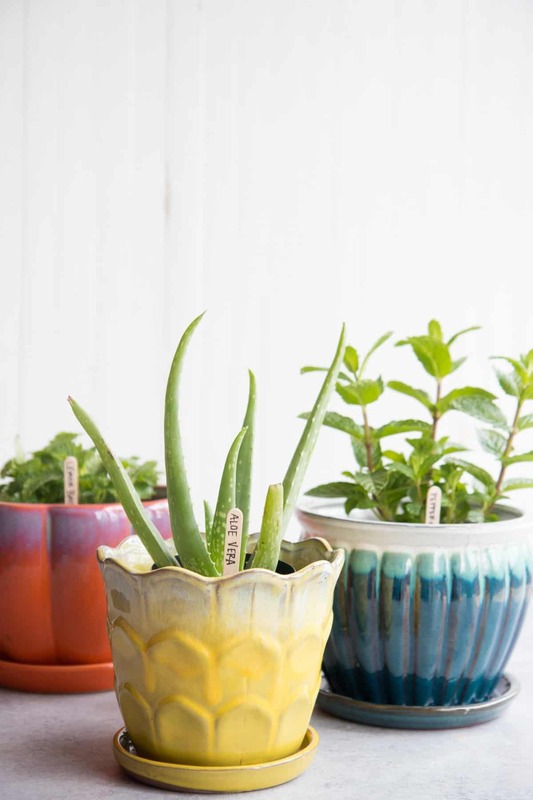 Just a sunny window and some pots, and you’re on your way to creating your own mini medicinal herb garden. Let’s dig in. 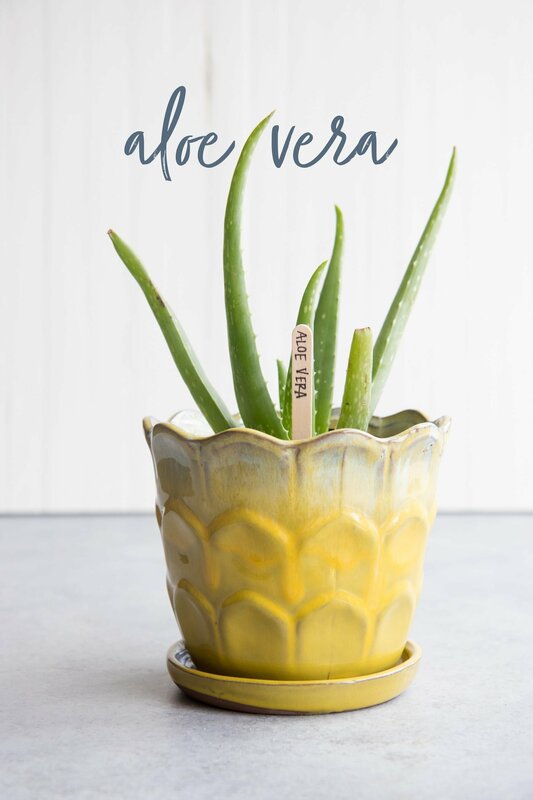 Aloe vera probably isn’t a stranger to most of you—in fact, chances are, this is one medicinal herb that you have already used when you last got a sunburn! Aloe is an incredibly easy plant to grow and it thrives indoors. 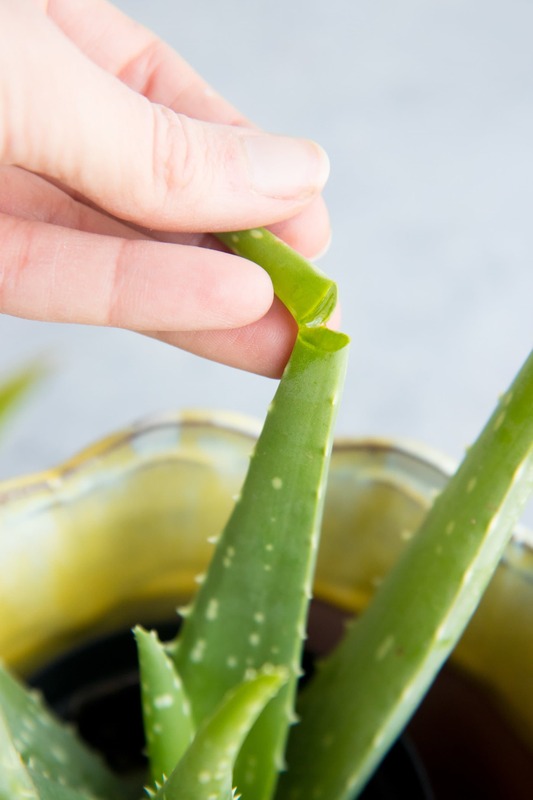 Snap open an aloe leaf and you’ll see tons of clear gel—that clear gel is an excellent home remedy for all kinds of skin ailments. Slather it on sunburns, cold sores, minor cuts, and rashes (but always consult with your healthcare professional if something seems serious) to soothe pain and help speed up healing. Because of its skin-soothing properties, aloe is also an excellent addition to homemade beauty products like soaps and moisturizers. The gel can also be taken internally to help with digestive issues. Just like it helps heal tissue topically, aloe gel can help heal tissues in the digestive system, too. The one caveat here is that you need to be careful ingesting too much of the aloe latex—which is the yellow-ish sap that seeps from the leaf when cut. It tastes bitter and can act as a strong laxative for some people. To avoid this, most people open up a whole leaf, then use a spoon or knife to scoop out the gel (this video shows you how)—leaving the outer green leaf and latex behind. You can then puree the gel in a blender to make it smooth and easy-to-spread (and eat!). Check out the houseplants/indoor plants section of your local big box hardware store or nursery. Chances are, they’ll have a section of aloe plants. Sometimes they’re also stocked with the succulents—since aloe is, in fact, a succulent (who knew something so helpful was also so trendy?). A small pot will run you about $5. Don’t want to grow it yourself? 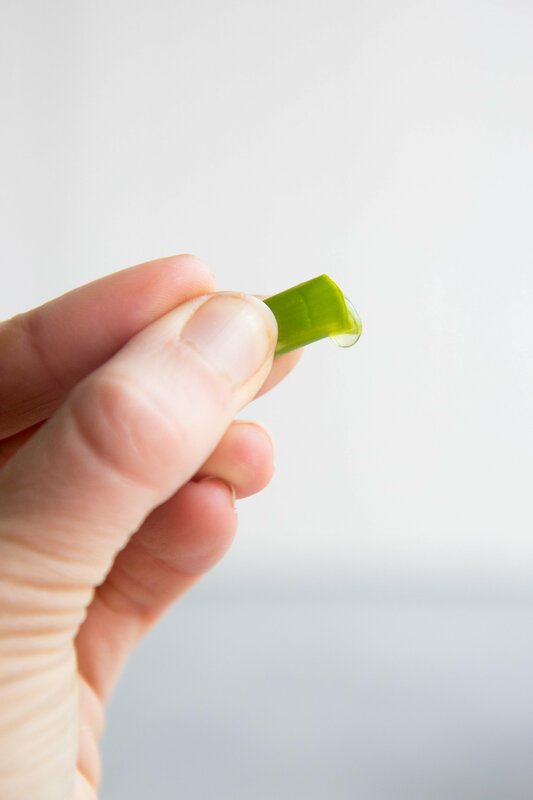 Many larger supermarkets—especially international supermarkets—will carry whole aloe leaves that you can take home and extract the gel from yourself. Aloe vera gel will spoil relatively quickly on its own—it’ll last about a week in the fridge. To naturally preserve it, mix in a few drops of Vitamin E oil. That’ll get you 6-8 months in the fridge. Here is a great article on to make aloe vera gel at home. Aloe plants, like all succulents, prefer a dry, loose soil. Aloe plants don’t like being wet, so you want to make sure your pot has plenty of drainage holes and your soil is amended with lots of perlite or sand (you can also buy special potting soil designed for cacti). Allow the soil to go completely dry before watering. Aloe plants are hard to kill, but 9 times out of 10, if you kill it, it’s because you’ve given it too much water. Definitely err on the side of too little water. Aloe plants don’t really need regular fertilizer—they’re pretty low maintenance. Because it is a desert plant, aloe likes lots of sunshine and lots of warmth—don’t try to grow it in the basement. A sunroom or bright window is perfect. 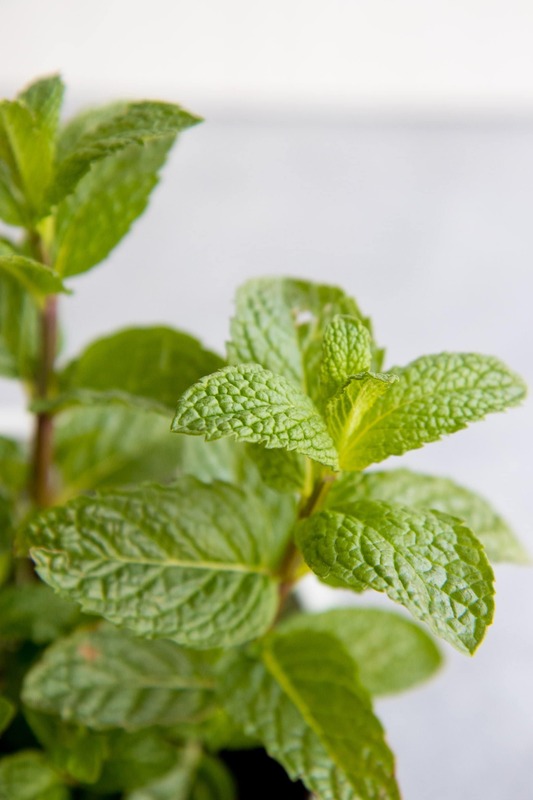 You’re probably familiar with peppermint, but did you know that in addition to tasting awesome, peppermint also is an amazingly powerful medicine that can help soothe upset tummies and get rid of headaches? Peppermint—especially in the form of tea—is a rockstar for tummy troubles. It’ll settle upset stomach caused by motion sickness, indigestion, or even morning sickness (I will say though, peppermint didn’t put a dent in my extreme morning all-the-time-for-nine-straight-months sickness). Peppermint is a natural antispasmodic—which means it can help reduce stomach cramping. I make a habit of having a cup of hot peppermint tea after anytime I have a big meal. Peppermint is also a great herb to use if you’re prone to headaches (and especially if you are prone to migraines that give you nausea—two birds, one stone). Peppermint can help reduce the pain and duration of headaches when taken as a tea or in a tincture. I’m actually creating a headache tincture right now that uses peppermint, lavender, and chamomile. Peppermint plants are easy to track down—you should be able to find them in the herb section at any nursery or hardware store. Sometimes, I also see mint (and other culinary) herb plants in pots in the produce section at my local grocery store. If you can’t get your hands on a plant, mint is also really easy to start from seed, and easy to grow indoors. In fact, one of the biggest issues with mint is that it spreads like wildfire—making it bit of a troublemaker in the outdoor garden. I prefer to grow my mint in containers. 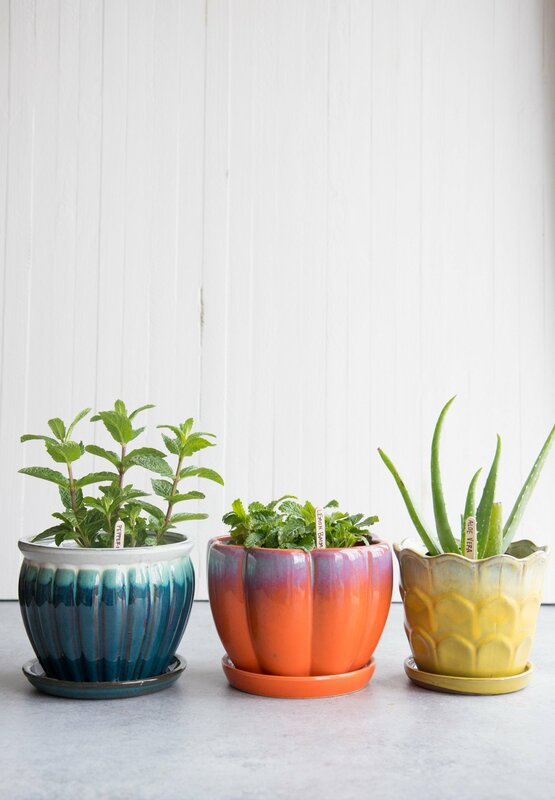 Keep it by a sunny window, keep it watered regularly, and you’ll have mint for making tea for as long as you like! 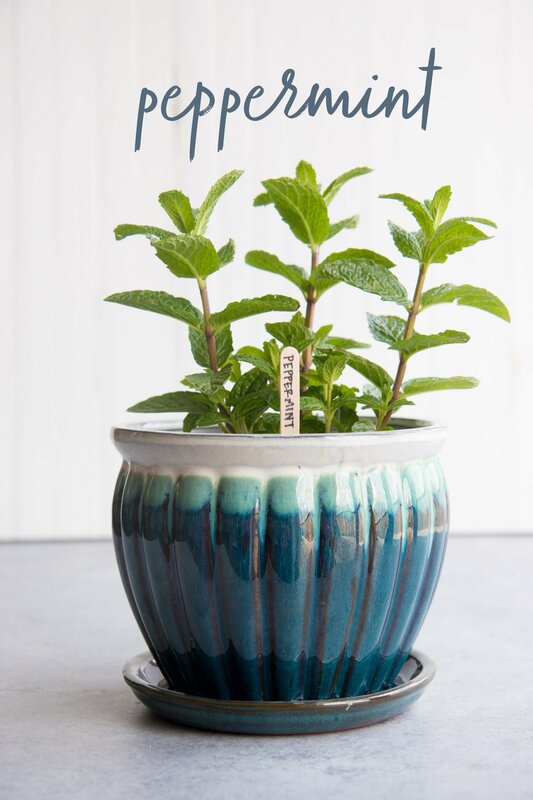 When the weather warms up, feel free to move your mint pot outside to enjoy the fresh air. Then, when it cools down again, bring her back in to stay cozy for the winter. Lemon balm—which is a member of the mint family—is probably the least known on this list, but one of my favorite medicinal herbs to grow! Not only does it smell and taste amazing, but personally, it’s medicinal qualities have been incredibly helpful in my life. Lemon balm is a rockstar herb for taking the edge off of mild anxiety and depression. Obviously, don’t throw out your antidepressants and stop seeing your therapist because you started drinking lemon balm tea—but if you have mild situational anxiety or depression, lemon balm might be something worth exploring to see if it helps you weather the storm. Lemon balm is also a strong antiviral—in particular, it works well to help combat both shingles and herpes. Another awesome benefit of lemon balm? It’s a natural mosquito repellent. And since the leaves are bursting with essential oil, basically all you have to do is brush up against a plant to release a ton of mosquito-stopping scent into the air. One caveat with lemon balm: In some folks, it can inhibit thyroid function when ingested regularly. This isn’t a problem if you have a normal thyroid, but if you are hypothyroid, only use lemon balm under the guidance of a healthcare professional who is keeping an eye on your levels. Tracking down a lemon balm plant is a bit more tricky, but I’ve seen them at some of the big box hardware stores that have robust nursery sections. Check with the herbs and other vegetable garden plants. Lemon balm grows similarly to peppermint—it’s a perennial in zones five through nine, and likes good quality soil (what plant doesn’t? ), lots of sunshine, and regular watering. Lemon balm doesn’t spread in the overwhelming way mint does, so if you do eventually want to put your plant in the ground, you can without worries. But it’ll live happily in a pot in a sunny window, too. 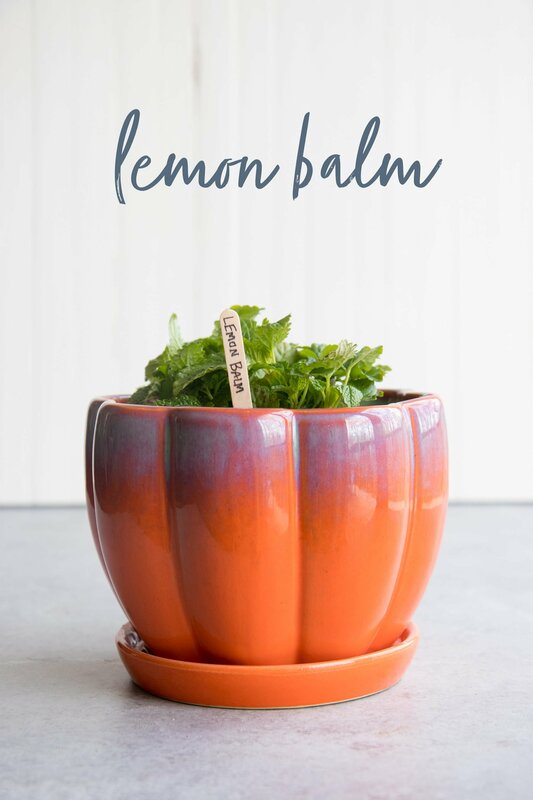 In fact, lemon balm can handle a little bit of shade, so if you don’t have a super sunny window, lemon balm might be the answer. I will say, bees love lemon balm! So if you have the space to grow a plant outdoors, go ahead and put one out—our bee friends will thank you. There are of course so many other plants that you can grow indoors that have medicinal benefits. In fact, pretty much any culinary herb is a robust medicine, too—basil can help with nausea, thyme is a powerful disinfectant and is great for treating coughs, rosemary can help improve your memory, sage is a hormone regulator—you get the picture. 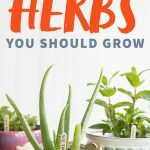 You have an entire apothecary in your herb garden and might not even know it! Aren’t plants amazing? I’m really enjoying your posts about this type of stuff! There’s so much I’m learning. I’m going to have to hit up the nursery soon for these plants, especially the lemon balm. Thank you for sharing your life experiences with. Us,Your honesty and wisdom has been very helpful. I look forward to your posts. I’ve grown peppermint before and have a pretty sizable aloe plant right now. I want to get some lemon balm though. Thank you for this post. Faced with all the modernity of new drugs, I am in the same mind as yours. Nutritious is a natural gift of potential yet to exploit – my family and I use lots of herbs when needed. Very good to be an article, congratulations! Wow! 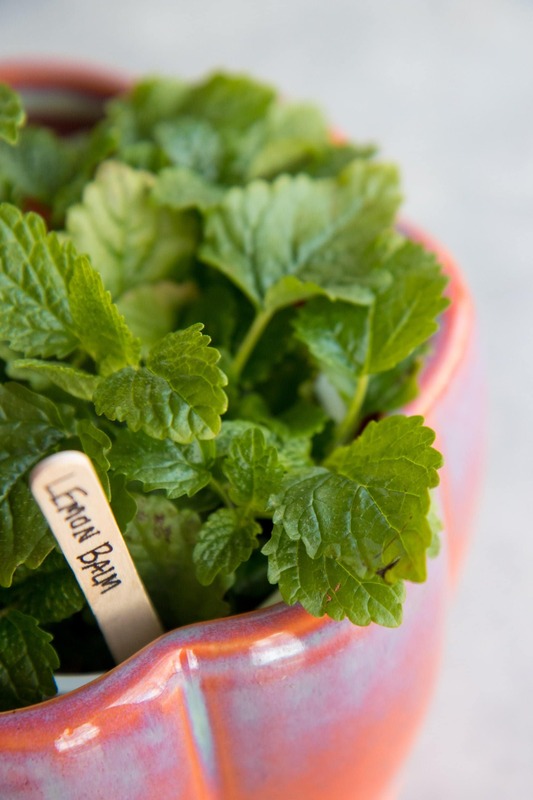 I never thought of growing lemon balm, what a great idea! I’m definitely trying this!